Malolo IV is the second Tennant power catamaran built to serve the island of Fiji and was built all composite sandwich construction by Leeward Island Service in Fiji. 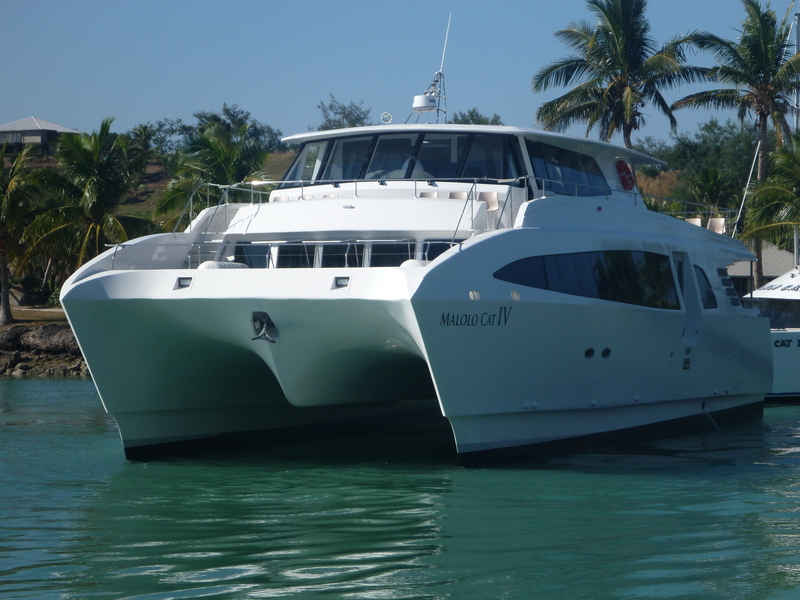 The 22m ferry is for transfers between the main island of Fiji and the resorts of Plantation Island and Musket Cove. As a commercial vessel it was important that the vessel be as fuel efficient as possible and have minimum maintenance costs over its life. These two considerations make composite construction very beneficial in service, and when combined with the canoe-stern hull shape makes for a fuel efficient ferry capable of 22knots at full load. The Matauri 16.5m is unusual in that it is a ferry boat built from timber. But it is not traditional timber construction, rather a cost-effective approach that uses epoxy resin, glass and Kevlar to produce a relatively light yet inexpensive vessel. The Matauri Ferry 16.5m is a 91 passenger ferry built by NCBB in Whangarei, New Zealand for a commercial operator who also running a 14.5 metre version of this ferry. This vessel is very fuel efficient and the canoe-stern hull form has repeatedly shown itself to be the most fuel efficient over a wide range of speeds – which is very significant in these days of increasing fuel costs. Nice Day Too is owned and operated by Captain Tommy Chen located in Montauck NY. He operated a smaller 42′ charter boat prior to this new vessel. This vessel has a USCG, COI for 100 miles open ocean and is certified for 49 passengers on day fishing trips or can sleep 20 on overnight trips. Nice Day Too is equipped with twin Cummins QSL 9.0, 405 HP @ 2100 rpm diesel engines, giving a top speed of 24 knots, and 20knots cruise at 1800 rpm.